Shop Steward Round Table Reboot! You raised your hand, you were elected…. now what? 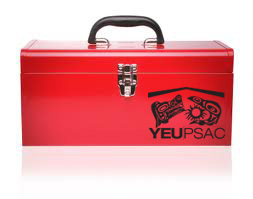 At YEU, our Shop Stewards & Local Executive members are very important. In fact, without a strong and well educated volunteer base we would have a hard time keeping up with our large and diverse membership. Our staff and Executive are working hard to ensure we offer the right training modules to our volunteers and workplace advocates. In order for you to feel confident that you are representing the membership and union well, you need a strong basis in facts, a thorough understanding of your Collective Agreement and the mentorship of experienced union staff. With those needs in mind, we are planning a half day brainstorm session for all our Stewards and elected workplace advocates. No matter whether you are the sole employee rep in a workplace of 6 or a seasoned Steward with 300 employees in your department – we need you. All stewards from all employers and workplaces are encouraged to attend this Shop Steward Round Table session. 9:00 am ‘til Noon OR 2:00 pm ‘til 5:00 pm. Both Round Table sessions are the same, so plan to attend only one. You will be required to bring in your approved leave form in order to attend. Please call Josh at 667-2331 or complete the form below to pre-register for either the morning or afternoon session. We want to hear what you have to say; bring us your concerns and your Steward questions. Let us know what stands between you and full engagement as an employee rep. Our goal is to build up our Steward network, ensuring you get the training and support you need! This entry was posted in Steward's Toolbox and tagged activism, advocate, collective agreement, contract, discussion, education, grievance, network, round table, shop steward, steward, toolbox, training, union advisor, union education, Union Leave, YEU, Yukon Employees' Union. Bookmark the permalink. ← Here’s looking at YEU in 2015; thanks for a great 2014!